Once you confirm your selection, click the pier into the building and talk to the man at the table. He will ask you to fill out paper, which will indicate your class and sign under which you were born. If you doubt my choice - refer to the manual. After confirming your choice, take the paper from the table and follow through the door on your left. Before you leave the building, try to grab as many things in the future you will be able to sell them, which is much easier for you to your position. Finally, exit the courtyard and go to the next house. Before you go into it, rummage in the barrel to the left of the building. In it you will find the Ring of Healing, which will then return to the rightful owner. After that, go in the house and talk to Sellusom Graviusom. He will give you some gold and will tell a lot of interesting information about Morrowind, or at least of Seyda Neen, a small town in which you are located. In conversation pops up the name Kai Kosadesa, an agent of the Blades, exploration Empire. Talk about it with Sellusom and get a package for Kaya Kosadesa that need to be delivered to the addressee. Find Kai Kosadesa possible in Balmora, get there on silstraydere better, although you can walk, however, this path will be much more dangerous. However, before leaving Seyda Neen, talk to its inhabitants and do a few quests. They are simple, but will help you gain playing experience and go up in level. And the proceeds will help better equip. After all the quests in Seyda Nina are met, go to Balmora. Kaya Kosadesa home located in the north-eastern part of the city. The road to it can show in the restaurant "South Wall". When you talk with Kai Kosadesom, select the topic "Report Kai Kosadesu", then give him the package. After he examines its contents, he asks, are you ready to carry out his instructions. If you are already familiar in the game - answer yes and get to work. Your first quest will talk to Hasphat Antabolis Balmorskoy of the Fighters Guild. Kaya interested in information about the secret cults Nerevarine and the Sixth House. However, once warned Cai, likely Antabolis require that you perform for him some task. So, go to the Fighters Guild (screen) and talk to Antabolis. That, as predicted by Kai asks to give him a small favor. You will need to go to the dwarven ruins Arkntand and find the Dwemer puzzle. Fortress gate opens a small lever, located nearby. Once the puzzle will you - go back to Antabolis. However, you can explore the rest of the ruins, it will help you gain experience and rich. Once you return to the Dwemer puzzle to Hasphat, he will tell you some information about the Nerevarine and the sixth house, but added that about local beliefs and superstitions is best to talk to Charnay-gras Muzgob in the local Mages Guild. In addition, Antabolis offer you collect the key from the lower level Arkntanda. Immediately I can say that there is no practical value, this key does not. All locked doors can be easily opened pick. So if you already have bypassed all Arkntand, the key can be safely discarded. From the received data back to Kai Kosadesu. After examining the record, Kai will give you the next job - talk to Charnay-gras Muzgob Nerevarine about cults and the Sixth House. Mages Guild is located next to the Fighters Guild. When you talk to Charny, she says she can tell you about the cult Nerevarine, but first you'll have to fulfill its mandate - to find a skull Llevula ADRA in the Ancestral Tomb Adrano. The tomb is located south of Pelagiada, right beside the road. However, before we go there, take care of weapons, because many spirits are immune to simple weapons. However, Charnay provide you with "Blades of Fire", but if you already will have enough money - will find for itself better weapons. Equipped better, go on a mission. When the skull will have you back to Charnay-Muzgob gras, and she'll give you my notes about the cult Nerevarine. As soon as you are recording, go to Kai Kosadesu. He will thank you for the record and the title to begin. After that, if the level of your character has reached the fourth or higher, Kai will give you the next job. Now that you have in your hands the recording Charnay-gras Muzgob and Hasphat Antabolis, you will need to gather information about the cult Nerevarine and the sixth house in Vivec. To do this, you will need to interview the three informants: Addhiranirr of Khajiit of the Thieves Guild, Huleyey, Argonian of the Morag Tong and then with Mehra Milo, a priestess of the Temple. Best to start with the first two. You can reach Vivek at siltstraydere. Once in Vivek, go to the district of St. Olmes and get down to the channel level. Talk to the locals, such as Sevizoy Teran. She will tell you that Addhiranirr hidden from the agent of the Reich Chancellery, which appeared here and that it should look in the dungeons. Get down even lower, at the level of the dungeon. Addhiranirr really is here, but she will not talk to you as long as you do not get rid of the agent. This agent name Duvianus Platorius, you can find it here, in the district of St. Olmes, in the Belt. Talk to him about Addhiranirr and tell me what hadzhitka left Vvardenfell and swam to the mainland. Agents of the Office so naive as to believe the first comer stranger. Then you can go back to Addhiranirr for information. As soon as she will tell you everything he knows about the Nerevarine cult and the Sixth House, you can begin to search for a second informant - Huleyi. You can find it at the inn "Black Schalk," but when you talk to him, he says that tell all he knows, but only if you can help him deal with his problem. Namely, at the moment Huleye threaten some racists who dream to deal with it, because the kind of free Argonian acting on their nerves. Fight them, he can not, because it would hurt the reputation of the Morag Tong, and he did not want to expose his friend, the owner of the restaurant, so settle its problems have you. Huleyi three enemies - Etis Savile, Urven Davor and favelas Gobor. You can either kill them or bribe. In the latter case, you will need to raise the ratio of each of them to you to 60 or higher. In this case, all end peacefully. Otherwise - get ready to fight. When one way or another problem will be resolved, spend Huleyyu the bookstore Jobasha. There he will tell you everything he knows about the cult Nerevarine, and give you my notes, which should be delivered Kai Kosadesu. Third informant, Mehr Milo, you will find in the Temple area Vivek, in the library. This informant would be flexible of all, to get information from Milo, you just have to go with her to the back of the library. There she will tell all that he knows about the Nerevarine Cult and tell you to get the book "Progress of Truth", which outlines outlook Priests apostate. This book is very rare, around Vvardenfell there are only six copies. Copies of the book can be found in the bookstore Jobasha in Tower Telvani in Vivec, in the library of the Temple, in a secret library and the Hall of Justice in Tel Uvira, in the house Arelasa. The easiest way to get it - it's buy Jobasha. Once you collect information from all three informants and dobudete "Promotion of truth" back to Kai Kosadesu the report. If you have collected all the required information, then Kai will give you a new title "Wanderer". After that Kai will ask you to practice the skills and job povypolnyat other guilds. Follow his advice, and when you feel that your character is fully grown - back. A study of the information collected, it is clear that most of the information can be found in Ashlander. Thus, the next task is to seek Kai informant among this group Dunmer. Go to the Ald'ruhn to Dunmer named Hassur Zaynsubani for information about the cult Nerevarine. You can find it in Ald'ruhn, tavern Ald Skar. But before he tells all he knows, you have to make him a gift. Since most Hassur loves poetry, the poetry collection will just be the best gift for him. For these purposes fit one of three books: "Hymns Ashland" (you can find it from a dealer in books or in the archive Ald'ruhn Hlaalu in Vivec), "Words of the Wind" (you can buy it from a dealer in books Ald'ruhn) or " Five distant stars "(bookstore in Ald'ruhn). However, instead of books you can have Hassuru service: to find his missing son Hannata, who had gone to investigate Mameyu ancient underground complex, located west of Red Mountain. By the way, the very son can not look, just promise that you will find it. When one way or another you will win the trust Hassura, he will give you your records. After receiving them, go back to Kai Kosadesu. So, got a note Zaynsubani Kai gives you the following task - to come to the camp and talk Urshilaku there with Sul-Matuulom and Nibani Mesa. However, before sending you on your way, it will tell the stunning news. It turns out that you fit the prophecy Nerevarine, that you can be the embodiment of an ancient hero Dunmer - Nerevar. 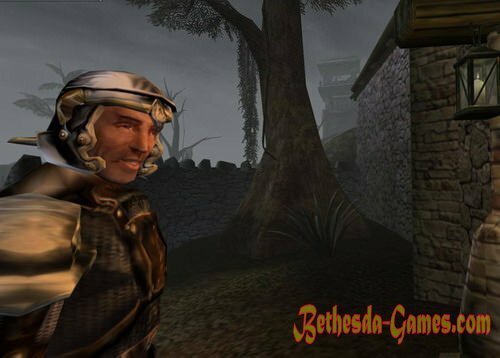 Therefore, you and released from an Imperial prison, sending a secret mission in Morrowind. Well, the Emperor's desire is understandable. Nerevar in antiquity all his life fought for the independence of Morrowind, his name is sacred for everyone who wants to wrest the province from the power of the Empire. Therefore, take into his service Nerevarine incarnation Nerevar - very good political move. While it is certainly risky. However, let alone high politics and return to the task Kaya Kosadesa. Camp Clan Ashlander Urshilaku is far to the north, on the coast of the Sea of ​​Ghosts. You can get there from either Maar Ghana on foyade Awards Dud or Khuul of the water (swimming or using a spell). Remember, you can not kill members of the tribe Urshilaku, otherwise you will refuse to deal with. 1. Suggest fight for the right to speak with Sul-Matuulom. Your level must be at least 6. 2. boast of their exploits. Your reputation should be more than 20 or your level of eloquence is above 30. 3. Tell everyone you know about the cult and the Sixth House Nerevarine. The level of eloquence must be at least 30. 4. Offer 200 gold for the opportunity to speak with Sul-Matuulom and Nibani Mesa. 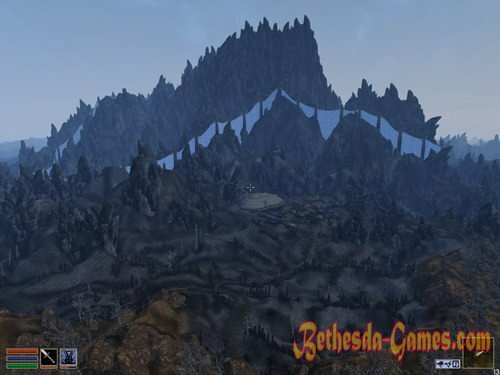 Condition corresponds to 200 Septims pocket. After receiving permission, as you notify the log entry, go to the Sul-Matuulu. This time, he will take you, but noted that to you could talk about the Nerevarine, you must become another clan. To do this you have to go through the rite of initiation. In this rite will be your quest Sul Matuula, you'll need to get the bow Kostegryz Sul Senipula, buried in the depths of burial caves Urshilaku. These caves can be found on the south-east of the camp, halfway to Red Mountain. Go there and get the bow, it will be a ghost Sul Senipula. Kill him and loot his Kostegryz. When the onions will have you back to Sul-Matuulu, and he will declare you the other clan, completing the rite of initiation. After this step to Nibani Mesa, she checked to you on line Nerevarine prophecies. Now that you have become another clan, Nibani Mesa will tell you everything he knows about the Nerevarine prophecies about whether or not you are the epitome of the ancient hero of Morrowind. Dialogue will be a long, try not to miss a single topic. When you discuss all the issues, the shaman will tell you that you are not yet Nerevarine, but you can become it. It can help you with this, but first you have to get Lost prophecy spoken apostate priests of the Temple. When you pull out her these records, it will help you accomplish what is destined from birth. In addition, Nibani Mesa will give you two books on prophecy Nerevarine. Getting them, you can go back to Kai Kosadesu. When Kai hear your report, he says that he has to think about and heard consult with Mehra Milo. You did he offer to practice the skills and acquire the best equipment, before getting the next job. We strongly recommend to listen to his advice. If consider yourself ready for a fight, talk again with Kai, and he will say that you need to arrive at Fort Buckmoth to speak there with PAEC Pullen. She knows something about the basis of the Sixth House and looking for a person for a certain job. So, your way again lies to the north, in Ald'ruhn. Your task will be to find the base of the sixth house and kill Dagoth Garesa priest of the Sixth House. When you reach the Fort Buckmoth, you will find Raes Pullen indoors, directly opposite the entrance. Talk to her about the basis of the Sixth House, and it will tell you that the Legion patrol discovered the Sixth House base near Gnaar Moka, but all died. Only one returned soldier with upset reason, repeating delirious name of the cave - Ilunibi. You have to go back and deal with what is happening. The whereabouts of the cave you can tell in Gnaar MoCA. When you fall in Ilunibi, get ready for serious battles. Your opponents will be different generation korprusa fighting which will be a serious challenge. Note - simple weapon does not take them. However, the most serious opponent will be very Dagoth Gares, a priest of the cult of the Sixth House. Before you fight with you, he will tell you the stunning things. It turns out that the head of the Sixth House, the mighty Dagoth Ur, is aware of your arrival and looking forward to meeting with you to offer you a union. After that Dagoth Gares will take with you into battle. However, your victory over him would be incomplete. Before his death, he can send down a curse upon you and infect Korprus terrible disease, which would call for nothing Dagoth Ur. After you kill the priest can go back to Kai Kosadesu. However, before leaving the cave, carefully search the it. To the left of Dagoth Garesa worth "trough" filled with all sorts of things, and behind him are two good gloves, one gives a bonus to Strength (20), the other Agility (20), both on the enchanted permanent effect. By the way, on the opposite wall you will find good glass boots. When cleaned the whole cave, go back to Kai Kosadesu. I must say that the alternative storyline in the game there, so join the Sixth House and become an assistant Dagoth Ur impossible. So, you go back to Kai Kosadesu with victory and with korprusom, eats your body. In conversation Kai says that one of his agents, Fast Eddie, said that most of korpruse in Vvardenfell except Dagoth Ur, knows only Divayth Fir. However, if the owner of Red Mountain is unlikely to share with you a recipe for healing this terrible disease, a Divayth Fir, the content of which is Korprusarium, may be useful. And to make it easier to persuade Kai gives you the Dwarven artifact - as you know, is interested in picking up the Fir similar gizmos. Now you should go to Tel Fyr. Once meet Divayth Firom, give him the Dwemer artifacts, and then talk about korpruse. Fear will examine you and say that you are really sick, but he has a potion that can help you, but he will give it to you only after you bring him the dwarven boots. He gave them one tenant Korprusariuma named Yagrum Bagarn which should fix them. So, go to the Korprusarium serving the last refuge of those who, like you, hit the korprus. Note that you will not under any circumstances can not kill the inhabitants Korprusariuma. The main attraction is Korprusariuma Yagrum Bagarn himself the last living Dwemer vanished race of dwarves or as they are sometimes called. After talking with the gnome, take his shoes Dwemer flight and carry them Fira. It's time to recover from korprusa. By the way, if your soul lives munchkin, you can follow the following tips. Every day, as long as you're korprusom, you will increase the power and speed and reduced intelligence and willpower. Thus, many manage to bring the value of the force to 400. Either way, when you consider that they are ready to get rid of korprusa, go back to Fira, give him the boots, and in return he will give you an experimental potion that will have to cure you of korprusa. As soon as you drink it (by the way, carry it with you will not give Fir), the old magician says that negative symptoms korprusa disappeared, but some of its manifestations are. Remember advice on power? So, after all of your healing korprusa characteristics that have been reduced in the course of the disease, will return to the original values. However, all characteristic value which increased to remain at the same level. That is, if the result korprusa your strength rose to 200, for example, and intelligence decreased from 100 to 40, after cure intelligence restored to its original value, ie, to 100, and the force will remain at the level of 200. Cured of korprusa, return to Kai Kosadesu. Here you will expect a surprise. It turns out that in Cyrodiil, the crisis and Kai urgently summoned to the capital of the Empire, so it makes you a title of Agent Blades that should get rid of depending on someone else. Last mission Kosadesa will go again in Vivek Mehra and talk to Milo, to regain lost prophecies. So, head to Vivek. When you arrive there, you will find that Mehr Milo was arrested and imprisoned in the dungeons of the Ministry of Truth. However, all is not lost. Priestess had time to develop a plan of their own escape, but she will need your help. Before proceeding to rescue the priestess, potions or spells obzavedites chameleon / invisibility, also nice fit any enchanted items having similar features. Then take a potion of levitation and Divine Intervention that you left Mehra Milo. It is time to pay a visit to the Ministry of Truth, a huge rock hanging in the air above the temple area Vivek. Drink the potion of levitation and take off. Once you are at the gates of the Ministry of Truth, talk with Warden Alveloy Saram. When you say that you have come to Mehre cute, she'll give you a clue, but then warned that despite the fact that priests are apostates sympathy among some residents, anyone not like it if you kill someone during the shoot. So try to keep the victim to a minimum. After receiving instructions, open the door and go inside. Many of the doors of the Ministry of Truth will be locked, keys to them can be found in the tables in the room of guards. Note that the corridors are patrolled by the Ministry of hard, so do not get caught the eye of the guards. It is best to use invisibility or a chameleon. Fortunately, like most of Morrowind dungeons, labyrinths Ministry did not differ in size and intricacy. Therefore Mehr Milo you will find very soon. In conversation, she will say that Lost prophecy can be found in the monastery Holamayan, the monastery priests Renegades. To get there, you will need to go to the eastern docks Ebonheart and talk there with Blatt Khater, which will take you to Holamayan. Give Mehre Milo is one of the scrolls divine intervention so that she could leave the prison. Now that Mehra Milo in security, go to the docks and find the Ebonheart Blatt Khater, tell her that you sent Mehra Milo, and that you want to go fishing. After that Blatt takes you to the docks Holamayana on his boat. Once you are at the docks Holamayana, talk to a nun Vevranoy Arion. It will show you the way to the entrance to the monastery. But warn that the doors are opened only at sunset and sunrise, in the hours devoted to Azura. Translated into ordinary language is six o'clock or six o'clock in the evening. Once get into the monastery, you will need to speak with Mehra Milo and abbot of the monastery Gilvasom barrel. After the dialogue with them you get text Lost prophecy. It is time to return to Nibani Mesa to try to realize what they say prophecy. Once in the camp Ashlander, talk to shaman and give her prophecies. Then you can take a walk on the sidelines to the shaman was able to carefully review and consider the texts. Return to the tent after "moon comes and goes." When the time comes to return, in your journal should also be recorded. Then you can go back to Nibani Mesa for its response. During the second conversation Nibani Mesa says that she was elected by your guide on the way Nerevarine. You will need to pass seven tests, the first two of which you have already passed. The first test - a date of birth, the second - the healing of korprusa. In order to pass the third test, you will need to talk to Sull-Matuulom. In conversation ashhan will give you the following task: you need to find an ancient Dunmer stronghold Kogorun belonging to the House Dagoth. In the fortress you will need to find three things: tears korprusa, Bowl House Dagoth and Shadow Shield, lying in the tomb of Dagoth Morin. Once all three items will have you back to Sul-Matuulu. Find items, in principle, not difficult, most importantly, look carefully at the sides and keep enabled map of the area. Korprusa tear can be found on the corpse of any korprusnogo monster (trapping or crippled), as well as in one of the buildings Kogoruna. Shadow Shield is in a cave called bleeding heart (see. Screenshot), lying deep beneath Kogorunom. The cup is even easier to find, it is located in a small building, the entrance to which is on the surface. When you pass the "Checking the Warrior" Sul-Matuula, return to the shaman. She conjecture to you a riddle: you need to find the place described in the ancient prophecy. After talking with Ashlander tribe, you can easily find out where this place is. However, if the mystery would be too tough for you, you see the screenshot. When you arrive at your destination, you will see a door that opens only at sunrise or sunset, at the hour of Azura. Please note only that unlike Holamayana, this door must still poyuzat to open it. When the door opens, go inside. There you should come and give Azura ring Nerevarine "Moon-and-Star", from this moment you become Nerevarine. After talking with all the ghosts in succession, you will get from every interesting information and a gift. Then come back to Nibani Mesa. After you talk to the shaman, it will tell you the essence of the fourth and fifth tests. You have to admit mentor three Great Houses of Vvardenfell (Hlaalu, Redoran and Telvani), it will be the fourth Test. 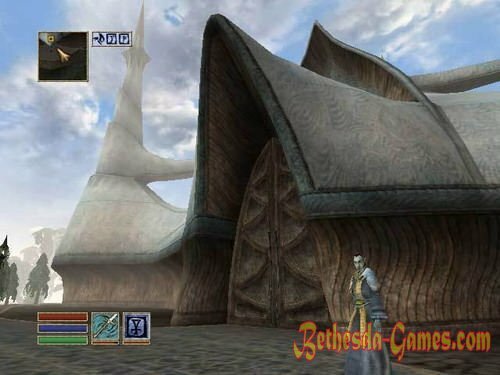 After that, you must declare Nerevarine four tribes Ashlander (Urshilaku, Ahemmuza, Zainab and Erabenimsun). Go in and talk to Ald'ruhn Athens Sareti. If you do not become the head of the House Redoran, then you will need to complete the quest - to save his son Sareti Athens, Varvura, from the estate Venim. Varvura keep the right wing of the manor, in the room behind the tapestry. Door key can be found in the same wing, on the bench, next to a note. After the assignment, Atin Sareti say that uses its influence on other councilors to vote for you as a mentor for the House Redoran. Just go around all councilors (Miner Arobar lives in Manor Arobar under SCAR Haris Lletri lives on the estate Llletri under SCAR Brar Morveyn live in apartments Morveyn, in the Council Chamber Redoran under SCAR Hlaren Ramoran lives on the estate Ramoran under SCAR) . Now go to the Manor Venim and talk to Bolvinom Venimom. He flatly refuses to elect a mentor you, but if you have the voices of other advisers, the Bolvinu nothing left, how to call you on the arena in a duel. Go to Vivek, the county "Arena". Go to location "Pit Arena" Bolvin will be waiting for you there. After the murder Bolvina Venima return to Atin Sareti and he officially proclaim your Master House Redoran and hand you a formal notice, exposing you as an imperial agent. Atin not require you to explain, because I'm sure your sincerity, but warned that others may not be so understanding. In addition, Atin will give you a ring Mentor. Now your road lies to the city of Vivec, to Krassiusu Curio. In conversation Curio says that none of the Hlaalu not want to see the stranger as a mentor, but in a humble offering a 1000 gold he will try to persuade them. Krassiusu pay the sum demanded, and he will tell you where to find the rest of the councilors. Yingling Polutroll lives at the Plaza in the District of St. Olmes, the Manor Yingling. 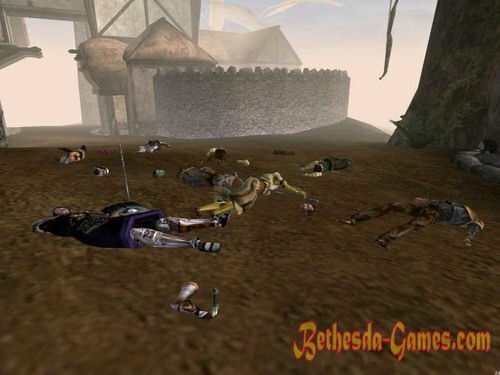 For his voice he asks 2000 gold, however, if you feel sorry for the money, you can just kill him, even though such an action is not to face Nerevarine. Dram Bero lives in a haunted house, there, on the Plaza District St. Olmes. Get his voice will not be problems. Coming your way is the plantation Orvasa Drena. It will be difficult to persuade him, but quite real. There are several ways. The first method is as follows. Go down into the basement of the main building and kill the two assassins. In one of the chests you will find a note that Dren orders to kill his brother, the Duke Dren Vedas. Take note and in conversation with Dren, say you have a paper that it might compromise. The second way - to say it drains you want to crush Dagoth Ur and Morrowind release from the yoke of the Empire. Note that in this and in the other case, it is desirable to raise the ratio to 70 to you and above. After persuade Drena, go to the remaining two counselors: Niven Ulis Velandia and Oman. They are obedient puppets Orvasa Drena and do whatever he says. Both can be found in their estates. After bypass all advisers, return to Krassiusu Curio, and he will proclaim you Hlaalu Mentor Mentor and hand belt. Now you should go to college and find a tower of Tel Vos Lord Arion. He will tell you where to find the rest of the House advisers Telvani, but warned that each of them has its own quirk. Mr. Nelot from the tower of Tel Naga in Sadr Mora differ nasty character, Mrs. fight from Tel Mora does not like men, Mrs. Teran from Tel Branory insane and Archmagister gotra definitely not like to talk, so everyone will have to find its own approach. Let's start with Nelota. To get his vote, you will need to raise his attitude towards you to 70 or higher, and then he will vote for you. The next will be an advisor Mrs. fight from the tower of Tel Mora. If you play a female character, no problem getting her voice you will not. Emancipated lady was so pleased with the idea of ​​returning Nerevar as a woman, she will gladly give you my vote. If your protege - a man, then, before you ask the voice, lift her attitude towards you to 80 or higher. And, after the conspiracy select among possible answers first: to lie at the feet and beg you to listen. ;) After this fight tell about your story, and it will give you your voice. Next on the account - a survivor from the mind of Mrs. Teran Tower Tel Branora get her voice you can only if your eloquence is not less than 30. In this case, you will need to make her laugh and quickly asked to vote for you. Otherwise you will be endlessly listen to her stupid ranting. Any attempt to interrupt the same lady respected her very upset. As for Archmagister gotra, it is necessary to kill, because to achieve a clear answer from him, you can not. However, you can kill the rest of Counsellors instead of getting their votes, it will not prevent you from becoming a mentor. After collecting all the votes go back to Arion, and he will proclaim your Master House Telvanni, handing passing Mantle Master. Thus, the fourth test Nerevarine completed, it is time the Fifth. 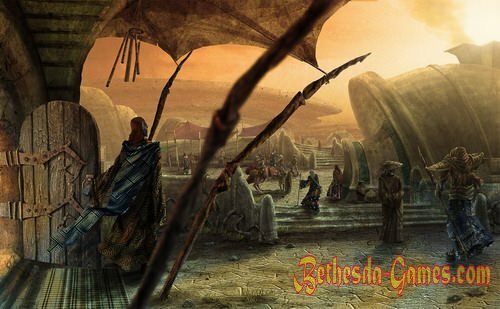 Now you have to declare Nerevarine four tribes Ashlander - Ahemmuza, Urshilaku, Zainab and Erabenimsun. Go back to the camp to Urshilaku Nibani Mesa, and she will tell you that the fourth test passed. After this step to Sul-Matuulu. After a long conversation Ashhan proclaim you Nerevarine Urshilaku and will hand you the amulet "Teeth Urshilaku." Tribe Ahemmuza - this unfortunate tribe that has no ashhana. Therefore, you have to talk with the shaman Sinnammu MIRPAL. She will tell you that you may proclaim the Nerevarine Ahemmuza, but only if you can secure sanctuary Ald Daedroth to Ahemmuza tribe could exist there quietly. So, go to the Ald Daedroth and get in front of the Shrine of Sheogorath priestess Hlireni Indavel. To convince her not to touch Ashlander, you can either threaten her (or your level of reputation in this case should be more than 20), or to describe her terrible fate of the unfortunate tribe (in this case the level of your Oratory must be at least 50, or you have to raise her attitude towards you up to 90). However, you can try to call the witch to a duel. Anyway, when you get her consent, return to the camp Ahemmuza. Tell all shaman and take it to Aldus Daedroth, the statue of Sheogorath, the sanctuary. There she recognizes you Nerevarine and hand amulet Stone of Madness Ahemmuza. So your destination - Zainab camp, which lies to the south of Vos. There you will have to talk to ashhanom Kaushadom. 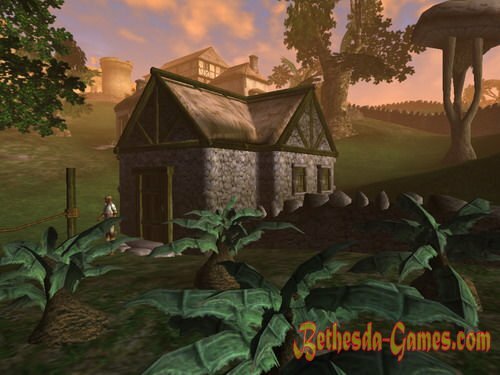 Before you start talking about Nerevarine, you will need to raise the ratio Kaushada to you to 70 or higher. Then talk to him about the Nerevarine, and ask them to test you. He will give you a job - to kill a vampire Calvario, whose lair is in Nerano Ancestral Tomb. Killing the vampire back to Kaushadu. He agrees to declare you Nerevarine, but only after you present him a gift, according to the customs of the tribe. Such a gift ashhan believes gentility bride Telvani. Gift, to be sure, is not available. But not all that difficult. Go to the shaman and consult with her. She will say that none of the noble families Telvani will not marry Ashlander but ashhana can deceive. You should go to rabotorgovke Saville Imayn Tel Arun and buy her a slave came from the dark elves. Then you can dress her up in expensive clothes and give telvanniyku for gentility. So, go to the Tel Arun and talk to Saville Imayn. She will say that she has a beautiful Dunmer slave, but to give her for the aristocracy, you will need to buy a graceful shirt, skirt and shoes. Buy everything you need and go back, by the way, it is necessary to buy in the store, which she recommends rabotorgovka. After that, it will give you the next job - buy Zhuchin Telvani musk. By purchasing a vehicle, come back, pay 1000 gold, and your slave. Open the cage and give slave purchased items. After that, together with the slave back to the camp Zainab. The easiest way to do this - use the spell Walking on water and move straight to the camp. Slave will cheerfully mince you on the seabed. Do not worry, it will not sink. Once you are in a yurt ashhana, give slave Zhuchin musk and submit it Kaushadu. After that, you proclaim ashhan Nerevarine Zainab Zainab Scourge and give in support of this title. Erabenimsun camp is located near Tel Uvirita, north of Molag Mara. However ashhan tribe Ulatov Pal categorically refuses to recognize you Nerevarine. Like last time, wise counsel will give you a shaman of the tribe, Maniray. She says that in order to become Nerevarine tribe, you will need to kill Ulan-Pal and all its gulahanov but Khan Ammu. Then come back to the shaman, and she will tell you that now you have to convince Han-Ammu that he deserves to be ashhanom tribe. To do this, you need to give him things that you can withdraw from their victims - namely, the Battle Axe Airan-Ammu, amulet Fireheart Sanit-Kil and mantle Erur Dana Wise. By the way, if you can pick it relevant to you to 90 or higher, then Han-Ammu will return one of the artifacts, saying that he understood the lesson and will ashhanom. After Han-Ammu Nerevarine proclaim you, go to the shaman of the tribe Erabenimsunov enchanted symbol, to let everyone know that you have chosen Nerevarine this tribe. So, it's time to six trials. Return to Nibani Mesa, she will say that you need to meet with Arhikanonnikom Sarioni to the arranged meeting you in Vivec. Now you should head to Vivek, in the Temple area, the High Council and look there healer Danso Indules to get a key from her private chambers Archcanon. Archcanon give you two keys to the palace of Vivec and from the back door to his room. So, go to a meeting with Vivek. In conversation, he will tell you a lot of information about Dagoth Ur, Nerevar and a little about the Dwemer. After that, he says that the main task will be the destruction of your heart Lorkhan. But to do so can only be Kagrenac tools: hammer and sword Keening separator. Get them into the hands can only person who wears a glove Wraithguard stored in Vivec. Bring Vivek oath, and he will give you the Ghost Sentinel. It is the seventh Test. You should find two ancient artifact separator and Sunder, hidden in the depths of the strongholds of the Sixth House. When will head on a quest not forget to look at the Ghost Gate on the road, you will meet interesting conversationalist, which many suspect incarnation of the Emperor Tiber Septim. Hammer separator is in the stronghold Veminal, the priests of the Sixth House Dagoth Ordos. Kill it and remove the key from the body and hammer. After this, go to the fortress Odrosal, in the Tower you will find Sunder. When the separator and Sunder will you, go to Dagoth Ur. Your path lies in the very bowels of the fortress, dungeon, concealing the heart of the dead god Lorkhan. In front of the door leading to the heart, you will be greeted by Dagoth Ur. After a short conversation (remember, in any case, do not give him the Ghost Sentinel) you will have to join the battle. However, the victory will be complete. If you feel that you are beginning to prevail over them, Dagoth Ur out of combat. After that, open the door, behind which lurk Akulakhan chambers. Your eyes gaze at the magnificent creature head Sixth House. Native twin brother of the legendary Numidium - Akulakhan. You need to destroy the heart of Lorkhan, which gives strength to the creature. Apply a heart three hammer blows separator and a few punches Sunder, not forgetting to fend off attacks Dagoth Ur. By the way, you can deal with it easily. Gave him several blows with any weapon that annoying "deity" thrown back. It will fall down to the bottom of the abyss filled with lava and will no longer bother you. After that, free to engage in heart. When it will be destroyed quickly run away from there. After this, go to the door of the castle, where you will wait Azura together with the final roller.